Don't be hasty or it won't be tasty! This dish involves quite a few ingredients but the preparation is all dead simple. It’s best to marinate the meat for 24 hours if possible, before the long and slow cooking process begins. 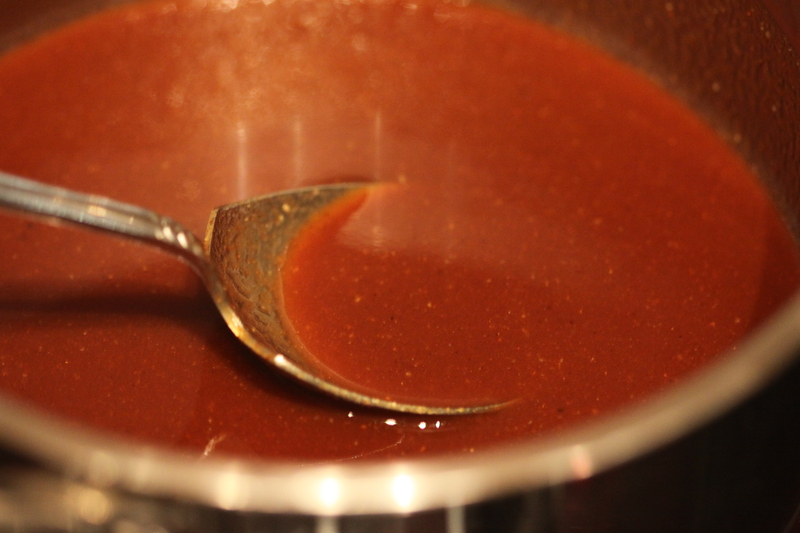 I have included my barbecue sauce recipe, minus a couple of secret ingredients. You’ve got to have some secrets, right? ** You don’t want to use hot chilli powder – to make your own blend 1tbsp sweet paprika with 1 tsp cumin, 1 tsp onion powder and 1 tsp garlic powder – or close enough! 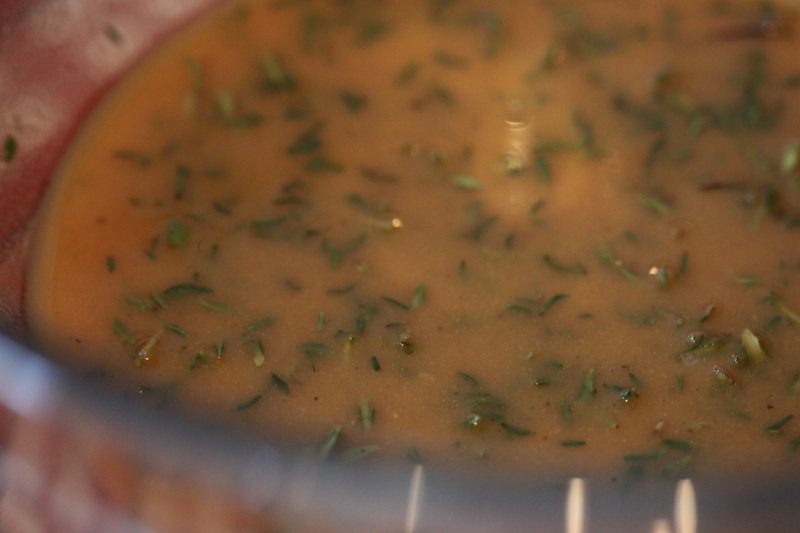 Combine Marinade ingredients in a bowl and pour over the beef. Put the beef in the refrigerator to marinate for at least two hours, or preferably overnight. Combine all sauce ingredients in a saucepan and simmer over low heat until well combined and reduced by about a quarter. Set aside. This will keep in a jar in the fridge for a long time. To cook these ribs I recommend using a kettle oven, with plenty of heat-beads all aglow and some pre-soaked smoking chips scattered over the coals. The beef will need to cook for about 3 hours using the indirect heat method (with the baskets pushed to the sides of the kettle). Remember – all vents open! 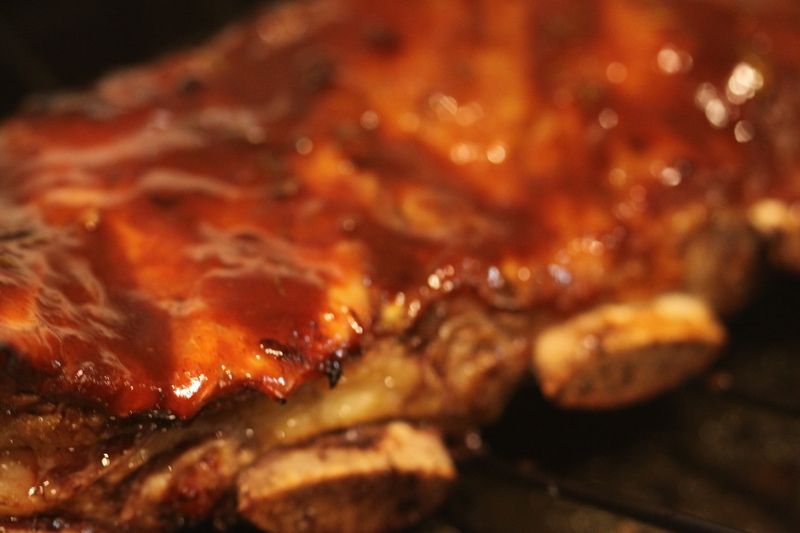 If you are not used to using a kettle barbecue, or you don’t have one, use the oven – they’ll be almost as delicious! If you can, use a roasting rack to get the meat up off the base of the roasting pan. 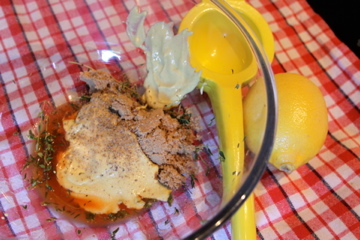 You could also add a little sprinkle of smoked paprika to the sauce if you like! 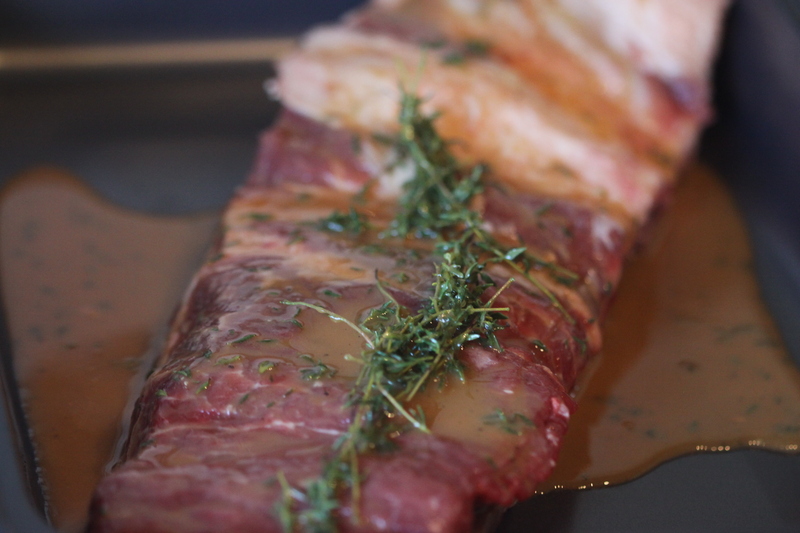 Place the meat bone (flat) side down on the grill plate and pour any residual marinade over the meat. Cover the meat with alfoil and tuck the edges around loosely. Shut the lid. 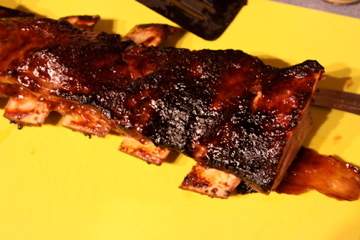 After about an hour of cooking, you can start to baste the meat with a generous amount of the barbecue sauce. By this stage, the heat should have reduced a fair bit and you can ditch the foil and start really browning the meat. Find something to take your mind off the mouth-watering smell or your sanity might spring a leak! Baste the meat twice more over the next two hours. Once it’s done the meat should fall off the bones! Like all red meat, let it rest for ten minutes or so before you cut it (to keep the juices in). You're now on the stairway to heaven! Just cut between the bones, trying to ensure an even-ish sized chunk of meat is on each rib. 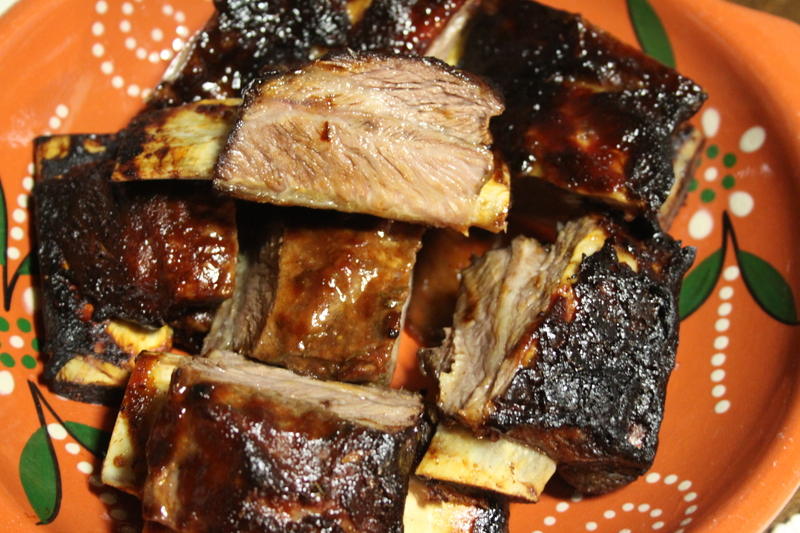 You can toss the ribs in extra barbecue sauce before serving, or let people add their own at the table. A simple coleslaw in summer or some corn on the cob and creamy mash in winter. YUM. ← A MI ME GUSTA LOS CHIPOTLES! A variation on the theme if you have a slow cooker is to cook a shoulder of pork on a bed of vegetables- carrot, onion, herbs – for 24 hours. Then shred it and mix with your barbecue sauce and serve on fresh rolls with coleslaw. That sounds great Ros! Yum.